Imagine that it’s one of those days when it drizzles, the sky is heavy and gray, and it is chilly and nasty outside. You have just parked your car and are walking with your child to his school, trying to avoid dirty puddles on the way. And then suddenly he is asking: “Mommy, do you see how beautiful the sky is? The cars are clean and shiny. The air is so fresh! I’m so grateful for this morning!” Does this sound like a made up story? It’s not; it’s a real one! It happened to one of my friends and her four-year-old son. You can imagine how suddenly their day was transformed. They did not see the puddles anymore, but a wonderful morning worth being grateful for. This is the power of gratitude. Gratitude often doesn’t come naturally to us, so we have to learn how to be grateful, like we learn many other good habits. Every morning after opening the front door of her house, my friend would look around, take a deep breath and say something like: “What a beautiful day! What a fresh air! I’m so thankful for that!” She taught herself to feel grateful for every morning, and she taught her child to do the same. The benefits of gratitude are truly amazing. It makes people feel less isolated and lonely. People who practice gratitude show more compassion and forgiveness towards others. They tend to feel happy and joyful more often than other people. And even their physical health improves. Some studies show that grateful people have fewer headaches and pains in their bodies. They have lower blood pressure. They also take better care of their health. With all these benefits, this could be one of the most important skills we can pass on to our children. So what are the best ways to teach your child to be grateful? Of course, your own example is very important. Try to find time during the day to tell your child (and yourself) what you are grateful for today. Are you grateful for the sunny day? For your mom’s call? For having such an amazing kid? Try not to repeat yourself. Instead, every day find something around you that makes you feel grateful. Your child will learn that from you. Soon he will notice all the beautiful things in his life, which other people might not have, and he will feel grateful for them. There are many gratitude activities and craft ideas for kids that you can find on parenting blogs. A lot of people connect them to Thanksgiving Day, but you can do them all year long. Two of my favorite gratitude activities are Gratitude Jar and Gratitude Tree. For this activity you need a jar and some paper to write gratitude notes on. Ask your family members to write about what they are grateful for every day and put the pieces of paper in the jar. 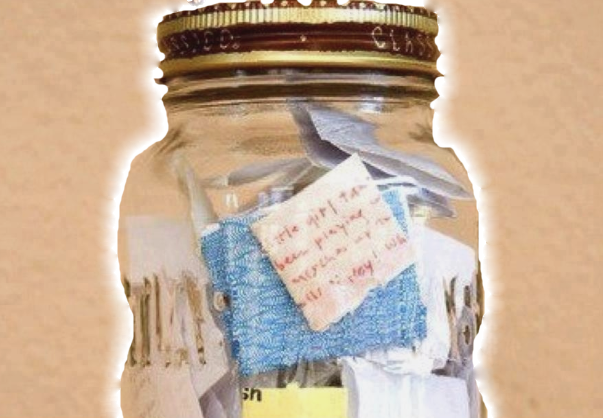 Empty the jar every month or two and make it a family tradition to read and discuss the gratitude notes all together. 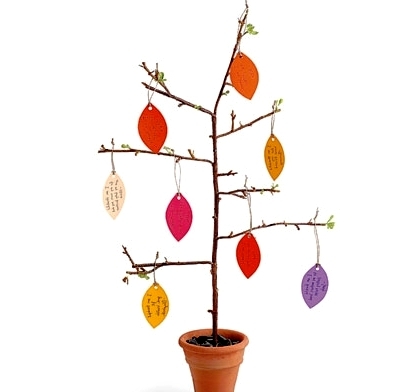 To make a gratitude tree, you need about three branches in a vase (you can use stones or sand to keep the branches stable if you’d like) and colorful paper leaves (which you can make with your child beforehand). Make a hole in each leaf and put a piece of string through it. Every day, ask your child (and other family members) to hang three leaves with your grateful wordson the tree. Watch your tree become more and more beautiful every day. One of the best tools to learn how to be grateful for what we have is a Gratitude Journal. There are different ways to do this activity with your children, but I will describe my favorite one here. To start, you need a journal. To make it a fun craft activity, decorate it with your child. You don’t have to do something big. Even stickers will bring a personal touch to the journal. Ask your child to draw a few things she is grateful for. She can do this every day or a few times a week. 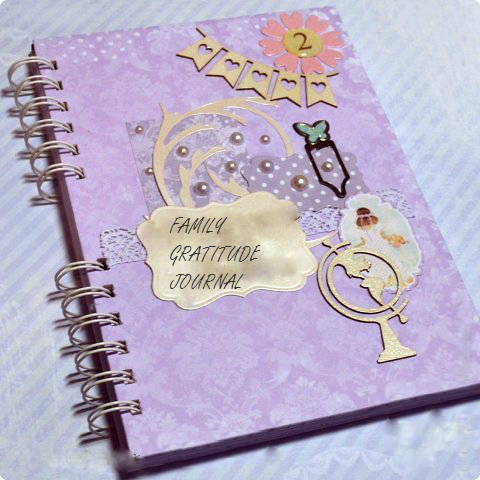 Involve other family members by asking them to write in the journal about different things they are grateful for. 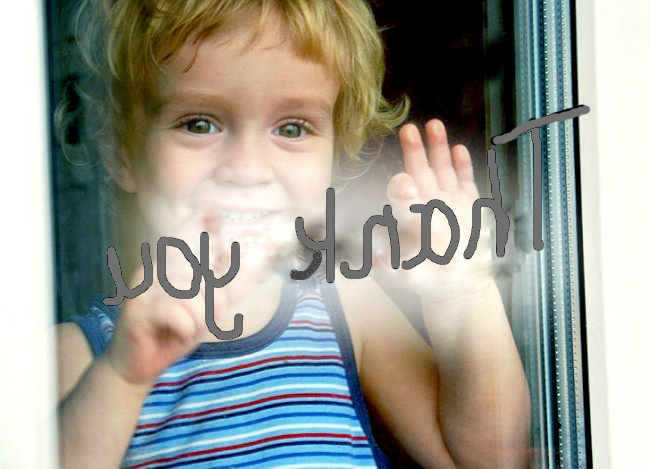 They can write next to your child’s drawings or on the separate pages of the journal. If your child is too small to draw (or thinks she is too grown up), she can also write about what she is grateful for. It is also a great idea to teach your child to be grateful for the challenges we go through in our lives. Robert Emmons in his article “Why Gratitude is Good” mentioned as an example Mother Theresa. She talked about how grateful she was for the opportunity to help sick and dying people. She felt that experiencing emotional and physical difficulties enabled her to grow stronger spiritually. You can explain to your child that sometimes even the bad times of our life can be worth being grateful for. They can make us stronger and wiser. There are many things we can teach our children. There might be even more things we want them to have. But at the end of the day there is something left which matters the most – if your children feel happy. Being grateful to your life, to the people around you, and being grateful to yourself can bring the feeling of happiness and satisfaction within us. It does sound like an amazing gift we can pass on to our children.